At the beginning of this article, let me first say that I will almost certainly be voting for Hillary Clinton on election day. This is simply because I subscribe to the ideal that you must always pick the lesser of two evils when given no other choice. The potential GOP candidates are a grave threat to our society’s long-term health and, if elected, a President Walker/Bush/Cruz would cause immense harm to our economy, education system, environment, and civil rights. That said, I am under no illusions about Hillary’s platform or core ideals and recognize that she is just the lesser evil. During recent interviews and campaign events, Hillary Clinton’s rhetoric has taken a sharp left turn, departing from her traditional center-right position in order to stake out some truly progressive positions. She has called for constitutional amendments to ban money in politics and ensure marriage equality, while voicing support for reforming police procedure and criminal sentencing, a pathway to citizenship for undocumented immigrants, and efforts to ameliorate income inequality. In short, Hillary Clinton has officially entered campaign season and is now trying to convince the Democratic base that she is an ideological twin to Elizabeth Warren—only with far more name recognition in the public, credibility with the “serious people” (read: donors, punditry, established political elites and media organizations) and electability. She is masquerading as a progressive populist, both to activate the left-wing base for the election and to shore up defenses against attacks from her left flank (to avoid an upset like in 2008, when Obama overcame her “inevitable” victory in the primary). 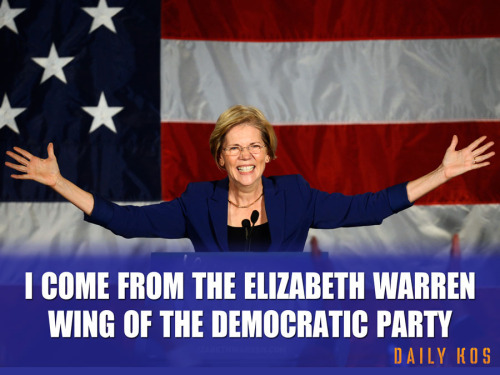 Unfortunately, Hillary Clinton is not Elizabeth Warren, and her long history betrays her true positions. While I have little doubt that she will throw some red meat to the progressive base on social issues if elected— including police/sentencing reform, women’s rights, gay rights, or possibly even a pathway to citizenship—I have absolutely no faith that she will follow through on issues of economics, trade, or corporate power. The Clintons are predictable in their corporate sympathies, albeit very good at cloaking their corporatism in populist rhetoric. Both Bill and Hillary have a history of supporting deregulation (eliminating Glass-Steagall) and toxic trade deals (ex. NAFTA), and a few good speeches does nothing to erase this history of substantive action. On the issue of taxes, Hillary Clinton is unlikely to raise rates significantly on the rich and has specifically opposed increasing the capital gains tax to rates equivalent to those on earned income. Additionally, the idea that Clinton—who may well take over a billion dollars in corporate money to get elected—will champion campaign finance reform is laughable. She has prospered in the current system of legalized bribery and is extremely unlikely to turn against those who have funded her rise to power. In all likelihood, Clinton will use this issue as a lever to gain support, then claim an inability to act once in power (after all, she would need overwhelming support in the legislature to get an amendment). In the coming year, Hillary Clinton will talk a great game about her progressive ideals and plans, but real progressives must not fall for the rhetoric. We must support her presidency to prevent the GOP from gaining the White House (barring some credible progressive dark-horse candidate), but we must focus our efforts on electing true progressives to the legislature. Progressives should cautiously support the Hillary presidential ticket, but should not become complacent in thinking that she really supports the same things that we do. While supporting Hillary, progressives must also try to capture a significant portion of the legislature, ensuring that we have the levers of power that will allow us to keep dragging a President Clinton back to the left. Where possible, progressives should try to defeat weak Republicans, but we should also hold center-right Democrats to account in primary races. Hopefully, progressives can get enough representation in the legislature that Hillary realizes that she simply cannot pass anything if she decides to snub her base—the GOP despises her family and will almost certainly obstruct anything she tries to pass on reflex (as they did Obama), thus giving power to even a small group of Democrats willing to stand on principle. These progressives can stand together and absolutely refuse to pass any bill that cuts entitlements, deregulates banks, or approves toxic trade policy, trapping Hillary between a progressive wall and an irrational mass of right-wing partisans who will never reach out to help her (even if she supports their ideas). Obviously, Hillary doesn’t want this and will be much more likely to avoid issues that are offensive to progressives. 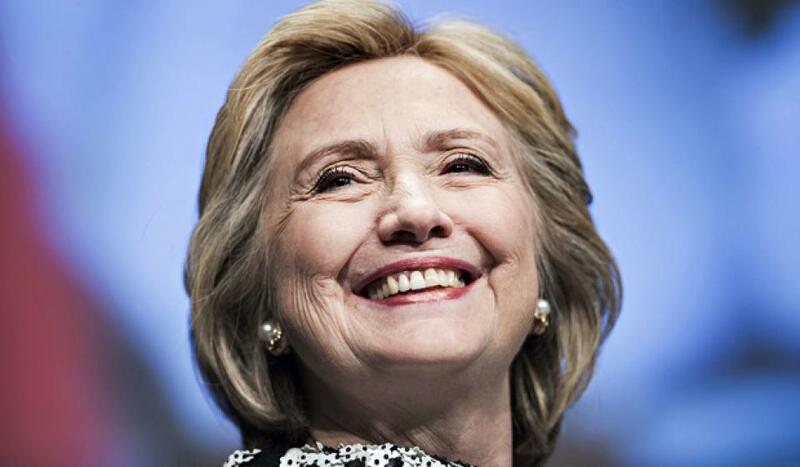 Hillary has been a supporter of immigration rights, women’s rights and has often called for a more equitable economic system (income inequality) when she was in the Senate. So, she is no newcomer to those progressive ideals. However, I think she is too much of a hawk on foreign policy. As the first woman POTUS would she have to “prove” she was tough by taking us into military action? Who knows. And she seems completely wedded to the Wall Street policies and foreign trade bills which harm US workers. I tend to agree with you.. We always have to vote for the lesser of two “evils”. The perfect is the enemy of the possible. A GOP POTUS coupled with a GOP Congress would be catastrophic on many levels. Look what happened the last time the GOP took control of all three branches from 2001-2005. That said, I am currently writing an article assessing the GOP candidates (for tomorrow or Friday, depending upon how much work is assigned tonight in the first class of the summer session), and even the worst things in Clinton’s record are better than the best things in some of the GOP candidates’. Well, if you need to do some quick research you may try my blog. I have been analyzing them (quite unfairly) as they keep popping up. First, Israeli healthcare includes universal and free access to birth control, as well as universal and subsidized access to abortion, with the only requirement being the approval of a 3-person medical panel (and, as the justifications include everything from physical/mental health of the mother to economic inability to care for a child, almost 99% of these are quickly approved). Second, Israeli healthcare includes access to medical marijuana, while the government actually helps subsidize research into new applications for medical pot, including the creation of strains of pot that have the seizure-preventing effects, without any of the psychotropic ones (useful if people have persistent seizure disorders and don’t want to live their life while stoned and unable to legally drive or operate machinery). In short, not only is Israeli healthcare universal, but it is also very progressive in its stances towards women’s rights and drugs. This is also shared across their education system (universal higher education), and public assistance programs. The Israeli right’s alliance with the American right is extremely ironic, as even Israeli conservatives tend to be far more liberal on all non-defense issues than many American moderates. If a Democrat supported translating Israeli health and education policy into US policy, as you say, they would be called an evil communist. “I subscribe to the ideal that you must always pick the lesser of two evils when given no other choice.” Well I understand your point I think this is the type of thinking that has got us into the two party stranglehold we have in the first place. If we’re going to actually break the reign of the two parties amd their mainstream corporate agenda we are going to have to step outside of the center nd seriously elect independent minded people. The only Republican I can think of who at least has some (emphasis on some) good ideas is Rand Paul who is one of the only poltiicans in the maisntream running for the Presidency to actaully criticize our disasterous foreign policy, but even he seems to be somewhat of a centrist conservative Republican, much more so than his father, regardless of what one thinks of him.